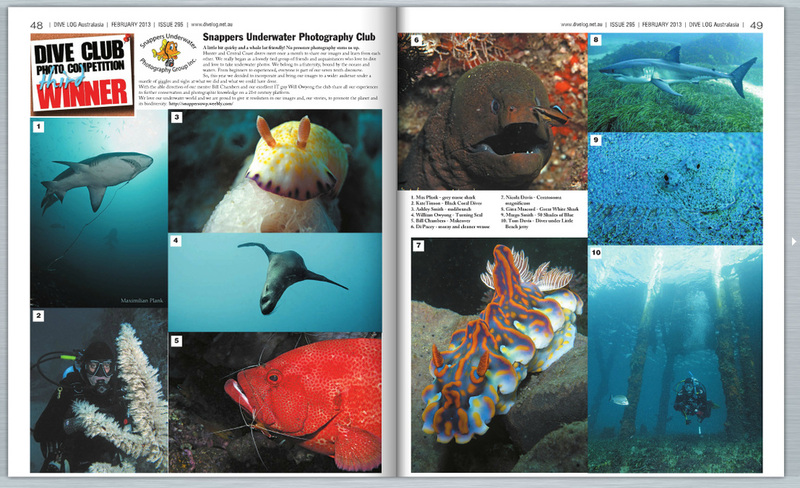 Snappers Underwater Photography Group Inc.
"Dive Club Photo Competition" Dive Log Australasia Vol. 295 February 2013. Pages 48 and 49.